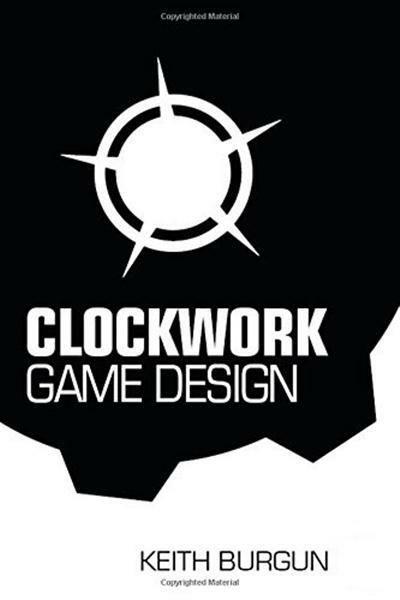 Clockwork Game Design has been released! Great news – my book, Clockwork Game Design, is now available for purchase on Amazon, Barnes & Noble, and other online bookstores, in both digital and paperback formats. Clockwork Game Design is unique in many ways, I think. I don’t know of another book on “building rulesets for strategy games”, that actually tells you how you should approach it. I’ve read maybe 15-20 of the most popular books on game design, and none of them have anything remotely like that. This is because, of course, they are all writing about “all interactive entertainment”, and providing such a specific, “how-to” guide for such a broad category of forms is impossible. I’ll be doing a short video about Clockwork Game Design soon to help people understand what it is, exactly. In short, though, it’s a run-through of a very specific system for understanding and building strategy game rulesets. I not only use this system in my own work, but I think that the Clockwork Design Pattern or something similar is really the only way to achieve depth and elegance in game design. Other designers who have achieved deep, elegant games, are using this theory (or at least parts of it) without knowing the words for it. It’s quite different than my first book, which was very much a broad “overview” of videogames, the history of games, and my general philosophy on games. I think the first book is valuable in that it relays my perspective on games broadly and goes into detail on some specifics. However, it is definitely far less constructive than this book. I hope you’ll spread the word about my book. I worked hard on it, and I tried to make sure it was itself elegant, as elegance is really a major reason for its existence. From little things like there being no subtitle (when was the last time you saw that?) to no preface to just simply being short and to the point. In other news: Dinofarm Games is launching a Kickstarter for an Auro expansion in a couple of days. Please keep an eye out for that!